SABIC, a global leader in the chemical industry, introduced here today at NPE 2018, booth S19001, LEXAN™ MARGARD™ FHC10 sheet, the latest addition to the company’s expanding automotive glazing portfolio. This advanced new technology is engineered to comply with the stringent visibility, strength and abrasion resistance requirements of ECE R43 (Regulation No. 43 of the Economic Commission for Europe of the United Nations). It features a tough polycarbonate (PC) base with exceptional optical quality, combined with a unique, formable hard coating that is pre-cured sufficiently to allow processing like regular PC sheet. In addition to ECE R43 compliance, LEXAN MARGARD FHC10 sheet can enable customers to avoid post-coating operations and gives automotive OEMs and tiers a fresh new option for creating simple, curved glazing designs. “Market analysts, such as Grand View Research in the United States, predict strong growth in automotive glazing, propelled by technological advancements in materials such as polycarbonate and continued demand for increasingly lightweight components – particularly in electric vehicles,” said Peter Chedd, segment leader, Glazing Functional Forms for SABIC. LEXAN MARGARD FHC10 sheet’s proprietary silicone-based formable hard coating uses dual-cure (thermal/thermal) technology. The coating is pre-cured to the point that it can be easily handled and fabricated like any regular PC sheet, but it maintains enough flexibility to be formed within specified limits. Following forming, using any of a variety of methods (drape forming, high-pressure forming, thermoforming, etc. ), the coating requires post-curing for three hours at 130°C to optimize abrasion resistance and meet ECE R43 requirements. The advanced coating technology ensures excellent adhesion under exposure to temperature cycling, water and humidity. LEXAN MARGARD FHC10 sheet also offers superior mechanical properties, including outstanding impact strength, as well as high optical quality. It features crystal-clear transparency with low ripple and distortion, including an extremely low number of optical defects. This advanced new product is also resistant to common chemicals, weathering and ultraviolet (UV) light. Primary applications are moderately shaped glazing components for lower-production vehicles, where LEXAN MARGARD FHC10 sheet can be more cost effective than injection molding. Additionally, LEXAN MARGARD FHC10 sheet is a highly versatile product that can be used for non-automotive glazing, such as machine guards, cabin glazing for heavy equipment and many other typically formed and post-coated applications. LEXAN MARGARD FHC10 sheet is initially available globally in 3-5 mm gauges. SABIC plans to make thicker gauges available at a later date. • © 2018 Saudi Basic Industries Corporation (SABIC). All Rights Reserved. • Any brands, products or services of other companies referenced in this document are the trademarks, service marks and/or trade names of their respective holders. SABIC’s new LEXAN™ MARGARD™ FHC10 sheet, the latest addition to the company’s expanding automotive glazing portfolio, can be used for moderately shaped glazing components for lower-production vehicles where injection molding is less cost effective. 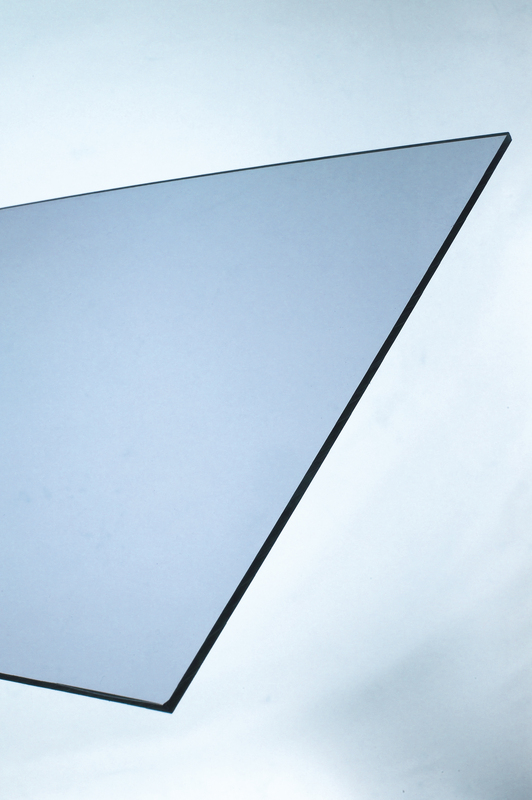 Additionally, LEXAN MARGARD FHC10 sheet is a highly versatile product that can be used for non-automotive glazing, such as machine guards, cabin glazing for heavy equipment and many other typically formed and post-coated applications. For high-resolution photos, please contact: Amy Godfrey (agodfrey@ahminc.com, +1 413 448 2260, x370).